Our Girl Angel ornaments are the perfect gift to commemorate and celebrate life’s moments! Our girl angels are some of our very best sellers. 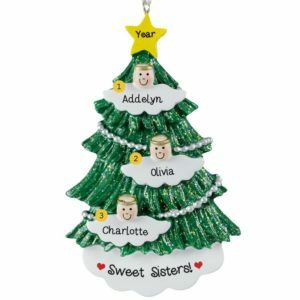 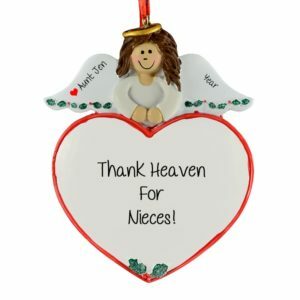 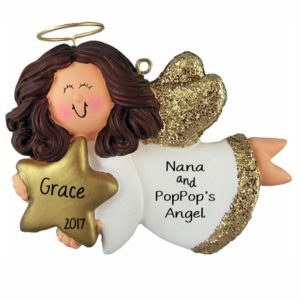 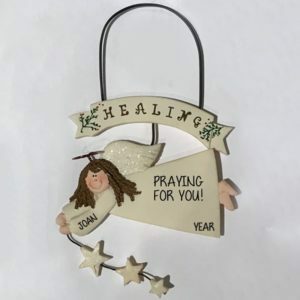 If you want to commemorate the birth of a baby girl, delight your Goddaughter, honor a special caregiver or volunteer, or memorialize a loved one who now resides in Heaven, Personalized Ornaments And More has just the angel for you. 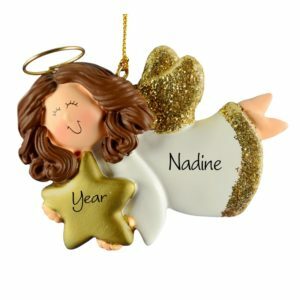 Choose from child-like cherubs, or lovely adult angels. 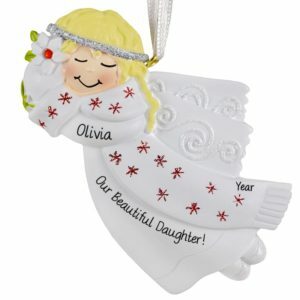 Some are glittered, some adorned with pearls. 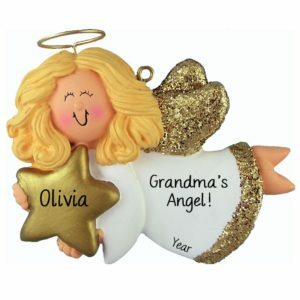 You may wish to personalize with one of the sentiments we show, or add your own message. 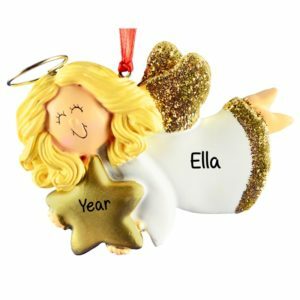 Whether you choose a blonde, brunette, or ethnic angels, you will most certainly delight your special angel!